Susan and Kitty are summoning all their magic to discuss an absolutely bewitching Archie Comics character who has flown from the page to the screen, both in a beloved sitcom and a new, chilling Netflix series- It’s Sabrina the Teenage Witch Then & Now! We’ve summoned everything we know about a classic Archie Comics character whose recent chilling adventures have put her back in the spotlight- Sabrina the Teenage Witch. Traditionally a lighthearted, magical character, she has been revisited with a horror spin in both comics and television. Most fans know her for her humor, unsuccessful spellcasting, and of course, her talking cat Salem. 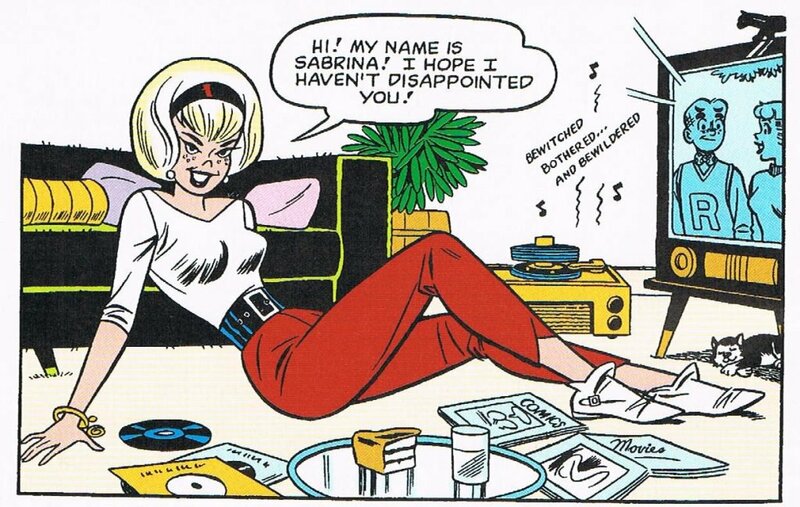 Once known as Sabrina, that cute little witch, this classic Archie Comics character has walked the paths of mortality and magic, and comedy and horror as she’s evolved over the years. Whether she’s having a chilling adventure or cracking jokes on a sitcom, Sabrina Spellman represents the all-too-relatable trials of being a teenager (with some magic in the mix). Since her debut in the 60s, Sabrina has proved she has what it takes to keep spellbinding audiences across comics and television. Listen along to hear what we have to say about the debut of her Netflix series, how it measures up to the beloved 90s show, and why Chilling Adventures hasn’t come out with any new issues lately! Birds of Prey Lands its Cassandra Cain, Hulu Developing George R. R. Martin's Wild Cards, and More!